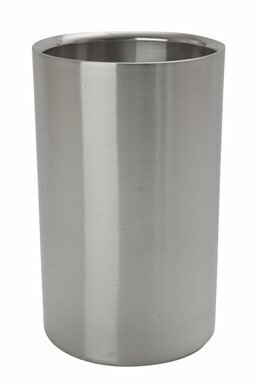 This is an attractive brushed stainless steel and is of simple design made up of a double wall seamless cylinder that will be able to keep it at the Perfect serving temperate. Ensure your wine bottle stays cool with this neat and tidy wine cooler. Ideal for bars, pubs, restaurants, hotel and the home. Perfect for dinner parties. Double layer of plastic helps insulate wine. Design is versatile enough for use on any occasion.